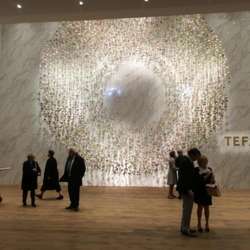 At TEFAF Maastricht, the world’s greatest art and antiques fair, you can buy masterpieces of art, antiques and design from Protected content the world's most prestigious dealers. Please make sure you buy your ticket on time beforehand or online, these events sell out soon and start on time. If you want to stay in the beautiful area for the weekend make sure to book your hotel well in advance. Send me a PM if you want to join the group, inquire about hotels and/or make travel plans together.